Professor Efraim Inbar is the President of the Jerusalem Institute for Strategy and Security. 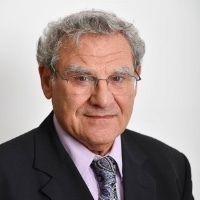 He was the founding director of the Begin-Sadat Center for Strategic Studies, a position he held for 23 years (1993-2016), and a professor of political studies at Bar-Ilan University. He has been a visiting professor at Georgetown, Johns Hopkins and Boston universities; a visiting scholar at the Woodrow Wilson International Center for Scholars; a Manfred Warner NATO Fellow; and a visiting fellow at the (London-based) International Institute for Strategic Studies. Professor Inbar was president of the Israel Association of International Studies; a member of the Political Strategic Committee of the National Planning Council; chairman of the National Security Curriculum committee in the Ministry of Education; and a member of the Academic Committee of the IDF History Department. He has authored five books: Outcast Countries in the World Community (1985), War and Peace in Israeli Politics. Labor Party Positions on National Security (1991), Rabin and Israel’s National Security (1999), The Israeli-Turkish Entente (2001), and Israel’s National Security: Issues and Challenges since the Yom Kippur War (2008), and edited fourteen collections of scholarly articles. He is an expert on Israeli strategic doctrine, public opinion on national security issues, US Middle East policy, Israeli-Palestinian diplomacy, and Israel-Turkey relations.